£65 plus booking fee*; Ticket includes a three-course set menu and Champagne cocktail on arrival. Some tables may be shared. Bar open from 6pm, dinner served at 7pm, performance 8.30 - 9.45pm. 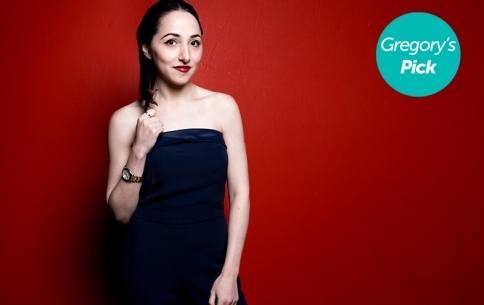 A budding singer since the age of two, Russian-born Alina Engibaryan has been championed by both Gregory Porter and Michael League, co-founder of the Grammy-winning collective Snarky Puppy. Inspired by the likes of music legends Kurt Elling, Stevie Wonder and Gregory Porter, as well as mentors such as Al Jarreau, Alina’s music is a beautifully diverse kind of jazz with a modern edge. Alina is really quite special…one in a million.